DARLING!! You should do gingham more often! I love all the gingham Lucy! The stitching is so unique too! Beautiful card. so sweet, Lucy! love this! Super sweet! 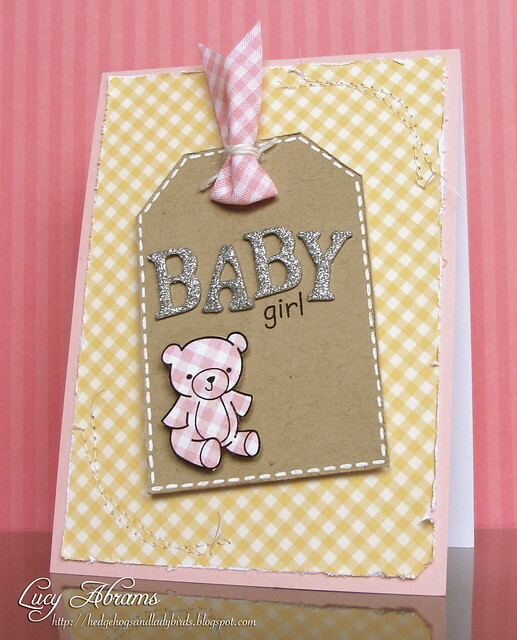 Love the glittered alphas with the pink gingham bear. Perfect for a little girl!